We produce a series of events each year that celebrate everything from beer to virtual reality. Our events reach an engaged local audience, build goodwill and celebrate the diversity of communities in our city. Each event offers fantastic opportunities to directly connect with our audience. In addition to sponsorship and activation opportunities, we can also produce events tailored just for you. 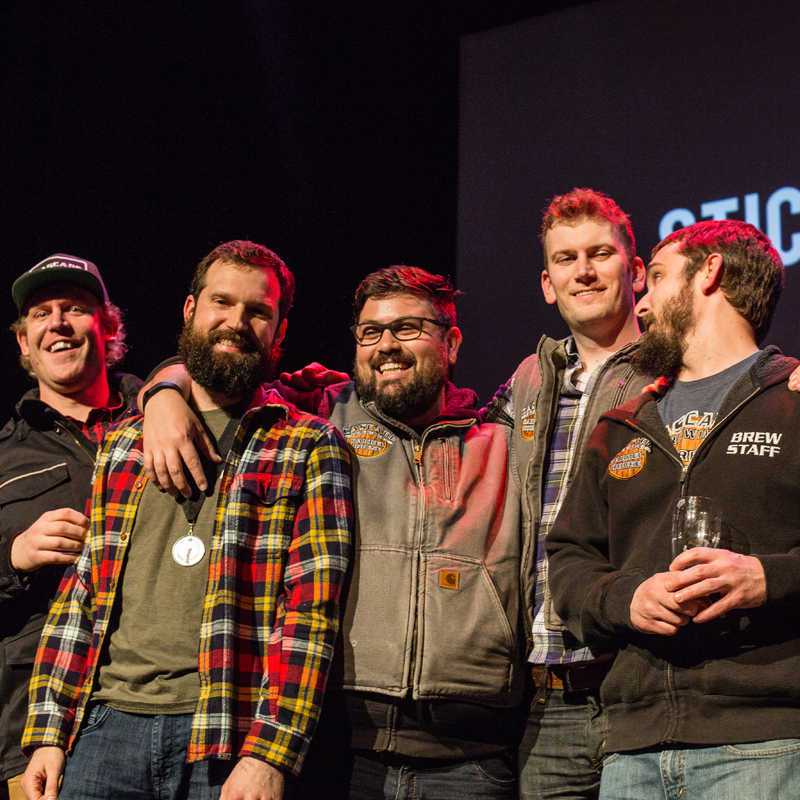 We like to say the “Academy Awards for Oregon Beer.” The Oregon Beer Awards select our state’s top beers in 25 categories, and honors breweries, bars and festivals in eight additional categories. The beer industry gathers to celebrate winners at a festive awards ceremony at Revolution Hall. TechfestNW is a gathering of innovators, startups, entrepreneurs, tech companies and investors from around the globe. During the day, TechfestNW offers compelling speakers, a pitch competition for startups, workshops and companies showcasing the latest in tech. At night, TechfestNW offers parties, networking and an opportunity to explore one of the greatest cities in the country. A city-wide series of events, a main stage conference, and innovative growers cup celebrating a science-forward approached to cannabis. With a focus on ethically-grown flower, advanced data and the regenerative farm movement, the two-day event invites consumers to approach cannabis with the same focus on craft and sustainability as Oregonians already do beer, wine and food. Programming is curated especially for thought leaders, policymakers, producers, bud tenders, analytic experts, culture influencers, and sophisticated consumers from around the globe, and culminates in an awards ceremony celebrating the state's best cannabis flower. Willamette Week polls the pros in the local music business for a list of the best up-and-coming Portland bands. We publish the results and gather the top picks to perform a free concert at Mississippi Studios. Experience the Best of Portland. From best kettle bell studio to best cat rapper, this massive block party has something for everyone. Grab a beer or cocktail and sample one of Portland’s tastiest bites, then wander the vendor booths enjoying music while discovering the latest Portland has to offer. Professional brewers and home brewers team up to create a beer or cider only available at this annual event. One price allows attendees entrance and tastes of one of a kind beers and ciders all brewed locally. Guest enjoy music, vendors and one on one time with the brewers while sampling incredible new beers and ciders. Join WW for the marriage of two of the hottest Portland trends in food and drink. Sample Portland’s top ramen alongside whisky cocktails and hard-to- find Japanese whisky. Willamette Week’s Give!Guide is Portland’s easiest path to year-end giving. Created in 2004, G!G has raised more than $25 million dollars for hundreds of local nonprofits. WW’s Give!Guide was created to hook young readers on year-end giving and we celebrate through a series of events. In concert with our annual issue profiling the funniest comedians in Portland, we put on a sold out showcase featuring the acts.